In Hamlet, Polonius said, “Neither a borrower or a lender be.” But is that really sound advice? I think asking to borrow something from a friend is perfectly fine, but with proper consideration and a few limits. Have you ever asked someone to borrow something and then immediately felt bad about it? Like maybe it was too much to ask. I have! And, so lately, I have been thinking about the ideal parameters for asking to borrow something from a friend. As always, when considering topics like this, I always ask myself what is the most gracious and thoughtful thing to do. 1. Only ask your closest friends. Let’s just say this: If you have to send someone a Facebook message because you don’t have their phone number or email address, then you are not close enough to borrow things from them! If they aren’t in your tight knit circle of friends, then I wouldn’t ask. Now, if they offer on their own accord, that’s different and okay. 2. Ask with plenty of notice. As the saying goes, a lack of planning on your part does not constitute an emergency on my part. The item might be in storage, might be dirty, etc. So, if possible, ask a few weeks in advance, especially if it’s something bigger like folding tables and chairs. If the lender agrees, it’s nice to remind them the day before you are to pick it up in case they forgot. If you ask a friend to borrow something, and she is vague or never gets back to you, take that as a subtle hint that she doesn’t want to lend it and don’t press her about it. 3. Pick up the item at the lender’s convenience. And certainly don’t ask the lender to bring it to you. They are doing you a favor by lending it so don’t ask another one of them! If you borrow a dress, have it dry cleaned. If you borrow tables for a party, even if they are dirty when you receive them, make sure they are as clean as a whistle when you return them. Scrub, polish, Magic Eraser, whatever you have to do. Leave no room for disappointment in the lender’s mind! 5. Do not ask to borrow sentimental or heirloom clothing or items. Christening gowns, antique Civil War-ear silver goblets, you get the idea. Unless someone offers out of the deepest sincerity, do not put people on the spot by asking to borrow their irreplaceable treasures. 6. Return promptly with a thank you note. Don’t just drop it on they porch without letting them know. Email and ask when it is a good time to return it. And it’s not necessary to do this, but sometimes I like to leave a little treat or surprise with the returned item. A seasonal bread from a local bakery or a votive candle maybe. Just something to say you appreciate their kindness. 7. If an item is damaged while in your possession, repair or replace immediately. If something gets damaged on your watch, you are responsible. It’s just the risk you take when you borrow someone else’s belongings. Be honest and make everything right. You will feel so much better if you do! 8. If someone says no to your request, respect and move on. Do not hold grudges. It’s their prerogative because the item belongs to them. Be an example by being gracious and generous with your belongings. 9. Always offer to reciprocate in some way. If you borrow something from a friend, ask if they have any events coming up in which they need anything of yours. If you borrow someone’s truck, offer to power wash their patio or something else super nice. (I feel sorry for people with trucks in ‘the city.” They are always getting asked to haul stuff!). Another example: a friend and I share the same fine china pattern and we have a standing agreement that we will gladly share if one of us ever needs more than 12 dinner plates for a holiday or dinner party. It’s not that you have to pay someone back for borrowing. But the lender should know that you intend for this to be a two way street and you are willing to loan them or help them with anything in the future. One friend geniously bought two long kids tables and chairs and started asking for $10 donations for wear and tear every time she lent them out. It paid for the items in no time! And people were so happy to pay the fee. Another idea: When my circle of friends were in the playgroup mode (and it seemed someone was having a birthday party every weekend! ), we would take turns borrowing each other’s party supplies. One friend has tables and chairs, another friend had tablecloths, I had drink dispenser and cake stands, etc. We were all happy to share and help each other out. Finally, if you are ever in doubt about asking a friend to lend out her things, just rent or buy yourself. I can’t tell you how many times rented tables and chairs and tablecloths for both adults and children’s parties. Honestly, it is not that expensive to rent 10 plastic children’s chairs and one long table (and save on delivery fees by picking them up yourself). Nor does it cost that much to rent a UHaul or Home Depot truck for an afternoon. There’s something to be said for not having to worry about damaging other people’s things! What do you think of my tips? Need a little thank you gift – check out these gifts. If you like (and want your friends to know, too!) “Share” these gracious etiquette tips on Facebook! Share button below! I absolutely adore your blog. I can’t remember how in the world I came upon it, but it’s a joy to follow along! 🙂 Would you mind sharing what companies you like to rent tables/chairs from for adult and children’s events? Thank you in advance! I also have 3 girls ages 7,5 and 3…so it’s fun to see yours on the blog! Thank you so much! I appreciate that! I use Ducky Bobs. You can actually go to their warehouse in Addison. They have a showroom attached. Whenever I have supper club or a dinner party at my house, I go there and rent a few linens and tables (and usually use my own chairs or borrow). They also have great kids tables and white chairs. It’s so hard to find white kids party chairs but they do and, if I remember correctly, they are like $2 each to rent for the whole weekend! I can fit a children’s table and 12 chairs easily in the back of my SUV so it’s super easy to do! 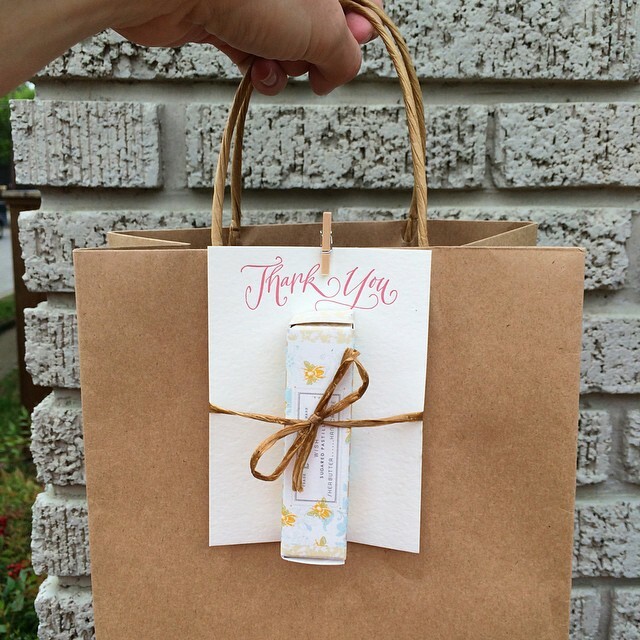 I love the idea of leaving a thank you note and little treat upon returning the item!! Never thought of that – great idea!! I’m on the opposite side I’m not borrowing I’m lending. I easily agreed to lend some items out, especially kitchen goods, for a family member’s potluck/self-catered wedding reception. These include commercial style bowls, coolers, drink dispensers, serving spoons, utensils, and etc. Some are large, a lot are smaller. Without seeming to be an -insert expletives here- , how do I go about making sure I get my items back? Should I mark them with tags, tape, etc.? It seems petty yet don’t want things walking off…again. Great question! I would absolutely put a label on the underneath with your name and phone number. I do that all the time! In your case, since you kindly lend stuff out so often, I would keep a legal pad or notebook and write down who took what item and when. Not to be Type A, but just so you can keep it all straight! (I read about someone doing this and it might have been Emily Post!) Also, don’t be afraid to ask the borrower about an item if you haven’t seen it two weeks after the event. If it’s been two weeks and they haven’t returned it, it has probably slipped their mind and they should be grateful for the gentle reminder! Thanks again for the great question! Left three beer bottles and a growler full of beer last Easter at my sil house for them to enjoy beer asking them to return expensive sentimental growler. My passive aggresive sil returned beer bottles and not growler stating when asked fro growler that she had given to niece. Niece used it for her own personal uses and conveniently forgets to return. This niece is a lawyer who gloats on how much money she makes and how she only has a $30 a month housing fee while I am unemployed barely making ends meet. This niece had the audacity to text me that this item $30 is not expensve and why am I asking for it back–so frustrated. This is a niece who chastised me for not making her brothers wedding -I got an unexpected job out of town -I let nephew and sil know immediately. This said from a niece who didnt make her own brothers wedding shower while I scraped together money to buy a giftwhile unemployed. This growler has evolved into my knowing that my niece with her comments is selfish beyond my comprehension and is an A-1 cheapskate -and that is not in a good way.